Hey, ya’ll! I have finally finished my Bee Themed Classroom Materials Pack! I am really happy how it turned out, and if you love bees, I think you will really appreciate having this resource. 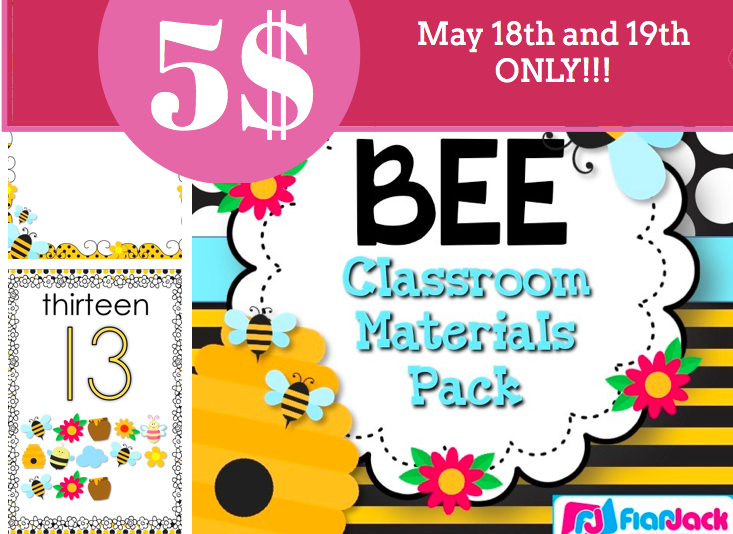 For today and tomorrow only (May 18th and 19th), I have posted the resource at TpT for only $5. Grab it quick and get a head start on next year (yeah, right, I know!). For all the details on this resource, check out the preview in the TpT posting. Looking for a different theme? Check out all of my packs here.